Laser or light hair removal is one of the latest and effective methods of hair removal. The best part is that lasers or light not only remove unwanted hair but also prevents hair from growing back even up to 6 months. Earlier these were available only at professional salons but now you can buy a best at home laser hair removal machine. It is essential to understand the various technologies used in these home devices to decide which is best suited for your skin tone and hair color. They also should have high safety rating for home use and should be FDA approved. Some have replaceable cartridges and others offer lifelong use. Getting a home laser hair removal machine is expensive when compared to devices like a bikini trimmer or a hair dryer. So you need to understand all its features before choosing the right one. Here we compare all the essential features of the top laser hair removal devices​ on the market today. ​We bring you the top 5 laser hair removal devices that can give you long-lasting hair free skin! The laser removal is also not entirely pain free and as hair grows in different phases due to which multiple passes are required for a uniform result. Also check the effectiveness of device for your hair color and skin tone. Try them first on legs or body to check for any irritation before moving to sensitive areas. Also a numbing cream or calming gels can help ease the pain if any. The Flash and Go from Silk’n is one of the best laser hair removal device. It features patented HPL technology and is FDA approved with a point and shoot design. The Flash and Go has a 5000 Flashes cartridge and 4 cm square treatment window with built in skin tone sensor. You can use it on legs, arms, underarms, bikini line areas and even on your face. The device has to be plugged in to a power outlet during usage and cartridges will have to be replaced once they run out. It has 5 intensity levels with a maximum output energy of 5 J/cm square. You can use the lower levels for bikini lines and face areas and higher levels for arms and legs. The Flash and Go will not work properly if you are having dark or tanned skin and for those with blonde or light hair. It works well for light brown to white skin tones and for brown to black hair color. The in-built skin tone sensor will not pulse if it detects the skin tone is too dark for treatment. They are less painful than other light or laser removal devices. Check this video to see how it works. Though getting results may take longer and you will need 6 to 8 sessions at least, it is one of the most affordable devices that gets the job done. The Silk n Flash and go is a must buy for those who want an affordable best at home laser machine. For first 4 sessions, treat each area once in every 2 weeks. This is another best at home laser machine that uses powerful yet safe laser beams that delivers professional results of up to 70% hair reduction in 3 months. Tria is one of the first FDA approved laser models for home use and higher power laser gives you good results after just 2 sessions. The laser head is small making it easy for you to use on face, lip and bikini areas. Covering whole body takes time due to smaller head size 1 cm square. There is no need of any replacement cartridges as it gives 90,000 flashes which makes it a long-lasting product. It has 5 energy level settings and a skin tone sensor. The device is cordless and gives 30 min usage for full charge and has an excellent digital display too. It takes 2 to 3 hours for getting fully charged and you can't use it while being charged. The display has a battery indicator to know the battery levels and if it needs to be recharged. The device automatically locks itself when not in use and skin sensor will unlock it on contact.​ An led display show the number of pulses you have used during a session. Tria is ergonomically designed and easy to hold and use due its unique design. Tria gives good results for light brown to white skin and light brown to black hair combinations. The Tria also comes in many different shades (Peony, Honeydew, Green, Turquoise, Fuchsia, Lavender and Graphite). It is one of the most effective and powerful home devices. Though it may be painful and comes at a premium price, it is one of the best laser hair removal devices. Learn how to use it from video below. Remington is one of the reliable brands in the market and they also have an IPL hair removal system which is quite popular and affordable. The Remington uses FDA approved Pro-pulse technology, similar to those used by professional dermatologists. The can give long-lasting results up to 6 months. A skin contact sensor along with a skin tone sensor helps you to use the device effectively. 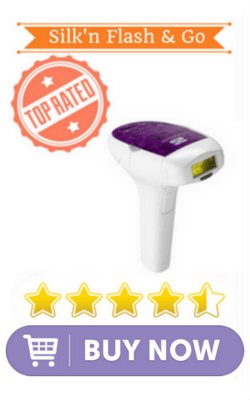 The replaceable cartridge gives around 6000 flashes which can cover 2-3 full body treatments. You can use it on body, underarms and bikini area but not on face. It has an ultra-fast flash rate of 2 seconds which can cover your sensitive areas in under a minute. The large treatment window easily cover lot of area so that you can save time. It is a plug and use device with 5 intensity levels and can be used for prolonged duration. The I-Light Pro works best on medium to darker hair colors and will not work on light colored hair like white and grey. It is less effective on darker skin. The Me smooth is unique device that has patented Elos technology that combines IPL and RF to give you silky smooth skin. The best feature of this device is that it works equally effective for all skin tones and hair colors and is becoming increasingly popular due to this feature. By using Me Smooth you can get up to 94% reduction in 7 weeks and 46% reduction in 2 weeks. Me smooth is also FDA approved and claims to be completely painless. The cordless device has 3 power levels for optimum use. To use select the desired power level and place the head on your skin. Make sure the silver RF bars are in contact with your skin as you move it across the body. A cartridge provides 6000 flashes and is replaceable. They are also easy to hold and use and it is recommend to shave, wax or epilate prior to using the device for best results. Me smooth reviews shows it is an innovative product that can be used by people with all skin tones and widest range of hair colors. The Gillette Venus silk-expert is one of the safest and fastest IPL devices products powered by Braun. It has a unique SensoAdapt skin tone sensor that automatically adapts the light intensity according to your skin tone for maximum safety. It also gives faster treatments and can cover your legs or arms in just 8 minutes. A gliding mode trigger more flashes to reduce the missed areas. The added safety and speed make it another best home laser hair removal device. A precision mode​ can be used for small sensitive areas to use flashes of light by lifting and placing the device on target area. Device also goes to a standy mode when not used for 10 minutes and sleep mode after 60 minutes for extra safety. It has two intensity levels with gentle mode using lower energy levels. The device is corded and works by plugging to a power outlet. The FDA approved device provide 300,000 flashes and can last really long making it one of the best laser hair removal machines. Venus is most effective on light to medium skin tones with hair colors ranging from natural brown to black. It is least effective on blonde, red, grey or white hair and dark skin tones. 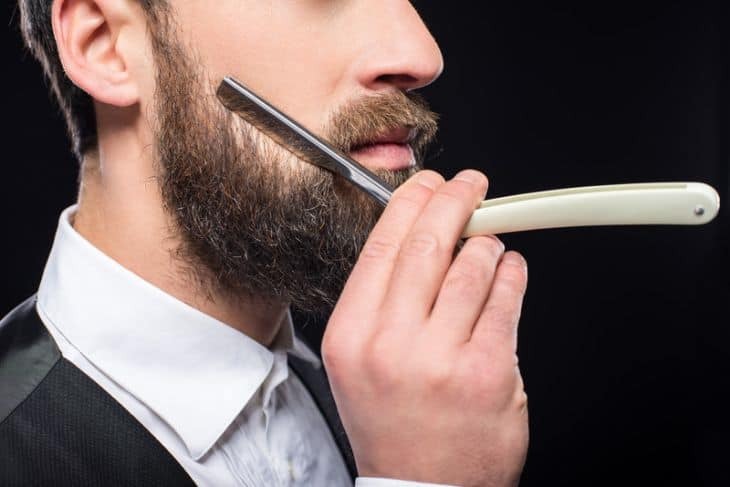 Also included with the kit is a venus razor for close shave before using the device. Device Type- The 3 types of light based hair removal devices are Laser, IPL (Intense Pulsed Light) and HPL (Home Pulsed Light) devices. They use optical energy, either as laser or pulsed light (IPL/HPL) that is absorbed by the dark melanin pigment of the hair shaft. The optical energy is then transformed into heat which destroys the hair shaft and destroys the follicle. Optical energy is a selective energy and is only absorbed by the dark melanin pigment, with no effect to the surrounding skin cells. Laser devices use a high strength laser beams to target your hair pigment and disable the hair follicles ability to regrow hair. The IPL devices use pulses of light to damage hair follicles by the root. They have lesser energy and are useful for larger areas. HPL is derived from IPL and varies in the light intensity and spectrum and is considered as the safest for home use. They give hair free skin for longer durations of up to 6 months. This is much longer, considering even the best epilators can give only up to 4 weeks of smooth skin. FDA Approval–When it comes to using a laser device at home the FDA approval is a critical factor. Home devices that are FDA approved ensure that they are safe for personal use at home. Although most of the home devices come with reduced power levels, it is always better to go for an FDA approved device to ensure maximum safety and quality results. Replaceable Cartridges- There are two categories in general when it comes to the life of the device. The first type of devices do not use replaceable cartridges and works for a certain number of flashes before you need to buy a new device. They usually last around 100,000 flashes and above. The second type of devices uses replaceable cartridges. They have lesser amount of flashes ranging from 5000 to 100,000 flashes per cartridge and you can buy a new cartridge once it runs out. Corded or Cordless–Most of the devices are corded and needs to be plugged in to a power outlet while being used. This will ensure a constant power output for best results. There are some new devices that are cordless and comes with a rechargeable battery. They are easier to use and useful for difficult to reach areas. Compatible Body Areas- Most of the home laser devices are safe to use on legs, arms and chest areas but some of them won’t be suitable to use on bikini line and face. So make sure the device is safe to use on sensitive areas to avoid any side effects or irritation. 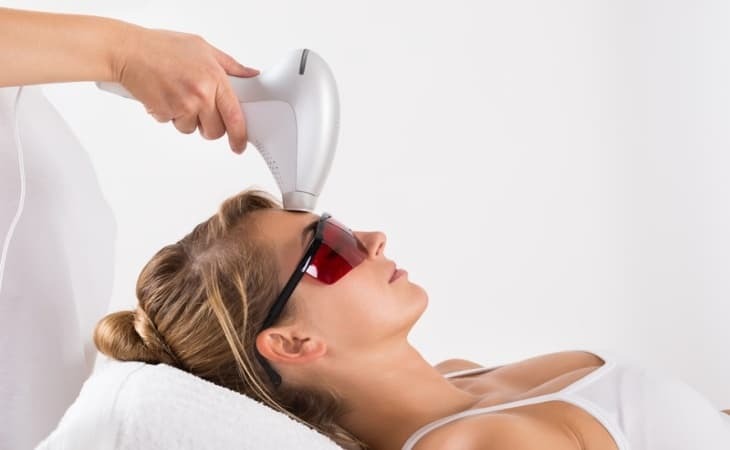 Skin Tone and Hair Color- This is perhaps the most important thing to look for while buying a new laser or IPL device. Laser type devices usually work well for dark hair and light skin color. They don’t work for red, blonde or white hairs and those with dark brown skin. IPL or HPL devices also work well for dark hair and light to medium skin tones. They don’t work well for red, blonde or white hairs and those with dark brown skin. IPL and RF based devices will work for all skin tones and hair colors. These new type of devices is great for those with dark skin tone or light hair colors who can’t use IPL or laser machines. Others – Some of the useful features for devices are energy level settings, LED display, skin tone sensor, device weight, flash window size and time to cover the area. Spot size- is the window size of the device head that emits the light usually measure in cm squared. This indicate how much of your body area will be covered for each pulse. Repetition rate – is the time interval between each laser or light pulses. If you are looking for the best home laser hair removal methods to treat specific spots of your body or face, the Tria offers the greatest precision and effectiveness. As you can see from the Silk n flash and go reviews, it offers much greater convenience and affordability for prolonged treatment of larger areas like legs and back. We believe now you can pick a good device for your needs from our list of best at home laser hair removal devices.